An actor’s ad-lib has overthrown every other theme of the 102-minute animated epic. 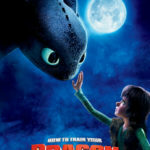 Observers over the weekend noted that Dragon 2’s soaring tributes to chaste young-adult romance, lifelong romantic commitment between two mature central characters who delight in beauty and their differences, and a tragic showcase of self-sacrificial love were all blasted to death by a voice actor’s single ad-libbed comical line that made it into the film. Despite the comedic sidekick’s vague allusion—“That’s why I never got married. 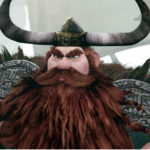 Well, that and one other reason”—critics and supporters alike proclaimed that the minor character of Gobber the Belch has come out from under his double-horned Viking helmet and that this disqualifies all of the Dragon 2 story’s representations of traditional beliefs. Cultural writers from web publications as ideologically varied as The Huffington Post and Jezebel praised the minor character’s easily missed revelation as a great leap forward for equal rights and a revolutionary philosophy of liberation that should be accepted as the central theme of the film, bypassing the inarguable fact that even the comic-relief character Gobber the Belch in the quip defines the term “marriage” as a practice between a committed woman and man in which he is thus unable to participate. “This represents the latest proof that fans will respond positively to themes of diversity and tolerance of different sexual preferences and lifestyles,” wrote Clive Botkin in a June 17 post at The Daily Kos. “History is on our side,” he added, apparently unaware of the fact that the single comment in the animated sequel represents less than .0007 percent of the film’s total runtime and in fact a well-placed cough from an audience member could have obscured the groundbreaking achievement for the progressive cause. Audiences appeared ignorant of the film’s offensive assault on their traditional moral values or the film’s brave ad-libbed stand for progressive equality, propelling the Dreamworks sequel to the top of the box office over the summer weekend. “This assault on our values using Hollywood propaganda and the dark forces who oppose marriage will be rejected by honest hard-working Americans,” said Robert McBoreson, president and chair of the Family Values Research Heritage God Bless and Save America Foundation, utterly incognizant of the fact that the Hollywood film brainwashes viewers by showing the journey of a maturing young man to find himself, while also respecting the stories and perspectives of both his father and mother, who turn out to have had a short and yet blissful life of committed and romantic marriage that is upheld as the story’s ideal. McBoreson cited FVRHGBSAF statistics proving that 89 percent of tentpole animated films feature wacky-jester sidekicks who exist solely for comic relief, whose amusing hijinks and direct endorsement of alternative lifestyles persuade impressionable youth to ignore the journey of the sympathetic heroes and follow the secondary character’s journey instead. A Dreamworks spokesman who asked not to be named confirmed that already the film’s director and writer is considering how to proceed with How to Train Your Dragon 3 while dispensing with first two films’ majority themes of respect for parents, honor of committed relationships, and stewardship of nature. Instead the sequel will follow the tangential exploits of Gobber the Belch, plus a dark-haired person seen briefly in the background running in fear during the Alpha dragon attack scene that marks the 2014 film’s finale. “Other beloved fantasy franchises such as ‘Doctor Who’ have proved what studio insiders are calling The Harkness Law,” the studio spokesman said, referring to the concept that fans of the BBC space-fantasy series are left emotionally unaffected by the seasons-long love story of featured heroes like Amy and Rory Williams, but are moved to tears by the momentary madcap shenanigans of supporting characters such as Captain Jack Harkness. At a joint press conference on June 16, the heads of six major studios stated they are so committed to the redefinition of traditional marriage that they will henceforth pour all their investment into only big-budget movies that push this ideal, ignoring other goals such as financing stories that audiences prove they want, in order to make money. 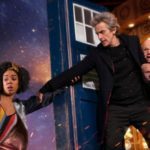 Why Does 'Doctor Who' Need A Gay Companion? But to be honest, I didn’t think about it any further. It’s meaning was left unanswered. Perhaps he never married because of a particularly embarrassing war wound (he seems to have quite a few). Or perhaps it’s because women find him repulsive. Who knows? The reaction to this little quip is wwaayyy over the top, and I don’t think any child carrying a Gobber doll will have their sexual identity threatened by this non-event. I’ll admit I had heard about Gobber’s “coming out” before seeing the movie and was slightly nervous upon entering the theater. I caught the reference, but my only response was “oh, that’s it?” and a sigh of relief. I then proceeded to thoroughly enjoy the remainder of the film. the single comment in the animated sequel represents less than .0007 percent of the film’s total runtime and in fact a well-placed cough from an audience member could have obscured the groundbreaking achievement for the progressive cause. This calls for some good old-fashioned American Christian right-wing activism! Let no showing go uncoughed! What will she do when her child asks about his bachelorhood? Well, that’s a good chance to talk about marriage, sexuality, and various related things at an age-appropriate level (and I tend to think parents underestimate what is appropriate, not minding that kids talk A LOT in school and see a lot online, etc). Some folks don’t get married for all sorts of reasons. Prior to gay marriage legalizations, they couldn’t get married. And when a kid asks a question that’s an opportunity to teach-and even better, talk about controversial things with a parent’s wisdom (or one hopes there is wisdom) and consideration–that’s a golden opportunity. But as I said on FB: I’m way more concerned that Hollywood marginalizes people of faith–I’ve seen more gay-positive characters on Network/Cable TV than orthodox-faith ones. Gays exist and should be depicted. But so do evangelical and traditional/orthodox and conservative Christians, and they should be depicted with the roundness and positivity as well. THere’s the issue. Okay, I’m breaking my self-imposed exile to say that I had a Poe moment because I had to read this twice to make sure Burnett wasn’t doing something ridiculous like renouncing his Whovianness, though not liking How to Train Your Dragons is almost right up there with that. Props for trying something different, but I don’t think The Onion-esque style works for this site that also runs articles that are unironically trying to make us believe that Hollywood is out to get us. That is, after all, why I took a hiatus. And, really, if we Christians will throw the Internet equivalent of a pride parade over nearly as brief a mention of us or people analogous to us in movies and suchlike, we have no leg to stand on to criticize LGTBmoreletters peeps doing it. this site that also runs articles that are unironically trying to make us believe that Hollywood is out to get us. Well, I’d say pretty much anything by Miller, especially these last two weeks. She may not believe that Hollywood is specifically out to get us, but she seems to think that Hollywood’s not being particularly concerned with being “Biblical” or whatever somehow contaminates us or Satan uses it to get us or some other thing that comes off as paranoid. And I tend to lump all the paranoid types together (though I’ll admit that’s may not be fair), because either they’re delicate little snowflakes who think a non-climate-controlled environment will ruin their faith or they think everyone else is. I do re-refer to the accusations about Rebecca’s view as one bonus proof that her view is not nearly as separatist as one might assume from a casual overview. Hollywood’s not being particularly concerned with being “Biblical” or whatever somehow contaminates us or Satan uses it to get us or some other thing that comes off as paranoid. It reads like so much unwarranted CONSTANT VIGILANCE to me, unwarranted because there is no Voldemort and Death Eater Gestapo that is actually threatening people (I don’t believe in a literal, personified Devil, so I don’t find the ethereal Screwtapeisms convincing). I think the delicate-snowflake criticism still stands, because I find it condescending how the old pontificators (like John Piper) assume that people are incapable of finding our own tolerances and limits. Well, silly me. All I thought he meant was that no woman would have him. I expect in “How to Train Your Dragon 3” we’ll see Gobber the Belch’s impending nuptials with Professor Dumbledore put at risk by an evil invading swarm of fundamentalist dragons.